2019 award nominations will be coming soon. These three separate awards annually recognize one individual in each category who, by outstanding actions and contributions to the advancement of excellence in the delivery of emergency care to the citizens of Colorado, is identified as representing the ideal EMT. Criteria: Colorado Certified EMT, active in delivery of EMS for at least one year, attached to or employed by an EMS professional. Annually recognizes one individual who, by outstanding actions and contributions to the advancement of excellence in the delivery of emergency care to the citizens of Colorado, is identified as representing the ideal EMS professional First Responder. Criteria: certified EMS first responder (or equivalent, i.e., National Ski Patrol Outdoor Emergency Care) active in delivery of EMS for at least one year, attached to or employed by an EMS agency; or serving in an emergency service capacity within a private entity (i.e., industrial safety team) or any other emergency service discipline (i.e., law enforcement, SAR, etc.). Honors a dispatcher for outstanding effort in processing and dispatching a specific, or multiple, EMS call(s). If available, please include a copy of the taped call. Honors an ambulance service which has become a leader in patient care, medical control, quality assurance, public education, public access and training and education. Honors an individual EMS executive — whether at a response agency or professional, governmental or NFP organization — who has become a leader in EMS and serves as a role model for EMS managers throughout the state. Honors a group or individual for outstanding achievement in developing an EMS system in a multiple county area or region of the state. Honors an outstanding instructor of an approved training program for EMTs or paramedics. Eligibility: Any state approved I/C. Written endorsement from the training program medical director must accompany the nomination. Honors the memory of Dr. Wohlauer, who directed the EMS section of the Colorado Department of Health and brought into being many of the outstanding EMS components now existing in Colorado. It is presented to a Colorado physician who has made a substantial contribution to the advancement of EMS in Colorado. Criteria: Colorado licensed physician (M.D. or D.O. ); Currently involved in EMS as a physician advisor or educator. Extensive biographical information will assist awards committee. This award recognizes professionals who perform exceptional or heroic actions in saving or attempting to save the life of another. The nominee may be subject to grave personal risk or danger in doing so. It is recognized that EMS personnel routinely provide life-sustaining services in the course of their work, and are often faced with certain danger in doing so; however, it is those times when a person will display significant and exceptional heroism and face substantial risk of his own life in saving or attempting to save a patient. It is this exceptional valor that EMSAC chooses to recognize. Examples: Rescue of a patient from a submerged vehicle; rendering care to a patient where danger of fire, gunfire or explosion, electrical shock, toxic or hazardous material, etc., jeopardize the safety of the EMT and patient; where location, terrain or other natural hazard pose a serious threat to the safety of the rescuer. Criteria: Colorado Certified EMT (any level), active in delivery of EMS for at least one year and is attached to or employed by an EMS professional; Documentation of incident required. 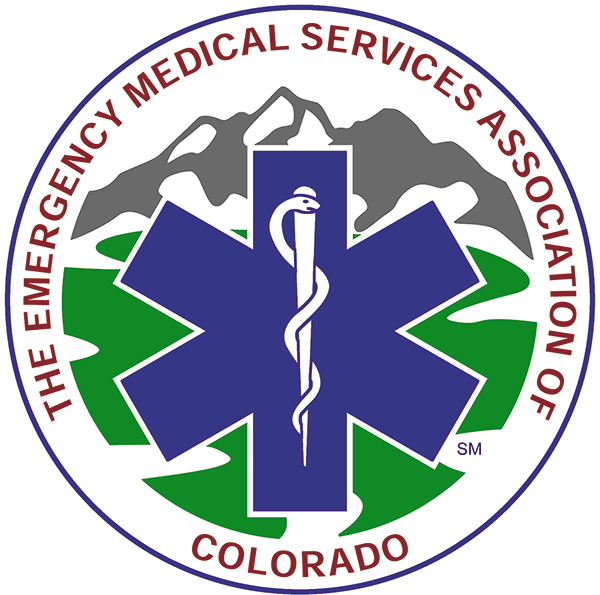 Members of EMSAC, primarily, actively provide emergency medical care to residents of, and visitors to, Colorado. Whether paid or volunteer professional EMTs, our members have chosen to train themselves and stand ready to aid those in distress. Nevertheless, we acknowledge professionals can not always “be there” in time for everyone. And, we recognize that untrained “civilians” frequently step forward, usually without a second thought or moment’s hesitation, committing themselves to saving another human in peril. EMSAC wishes to recognize such civilians, who, without training or regard for personal consequence, have shown unselfish personal valor by attempting the rescue, be it friend or stranger. Criteria: Any person not trained in, active in or affiliated with the provision of emergency medical or rescue service who has shown valor in an attempt (successful or unsuccessful) to rescue another. The incident in which the nominee intervened will have taken place in Colorado, however the nominee need not be a resident of Colorado. The nominator need not have been involved in the incident. The nomination should include: a personal profile of the nominee; a detailed account of the incident and the nominee’s actions; letters of support from emergency responders involved in the incident. Also include, if available, any news reports of the incident, in the form of newspaper/magazine clippings, videotape, etc. Recognizes an individual whose contributions to prehospital care have been consistent and long-lasting, representing in effect, a lifetime of outstanding service to the profession and the public. 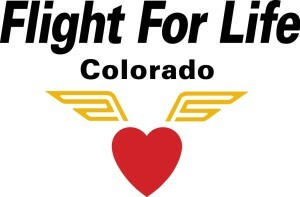 Honors the memory of Carol J. Shanaberger, an EMT-paramedic and attorney, who diligently worked for many years to improve EMS in Colorado and the nation. A tribute to women in Colorado EMS, and for those who have served their community and integrated safety prevention, education, and their love for the community in their lives. The Roth Award is for outstanding women who have helped carve out the history of Colorado EMS. Women who have made the difference through innovative contributions at a local, state, or national level. Francis Mildred Roth was one of the first female EMS professionals in Colorado. She embodied the true spirit of volunteers. She saved lives, fought fires, taught basic first aid and CPR. She helped build the first local firehouse in her community, coached little league baseball and was also recognized as teacher of the year. This award honors the dedicated service to EMSAC of Dr. Robert Campbell and recognizes individuals for their dedication and devotion to excellence in EMS, or for dedicated service to EMSAC or EMS. Examples: Exceptional service as an EMSAC officer or committee member; service on an EMS committee or organization at any level; assistance to an EMS professional (helping with fundraising, membership drive, etc. while not a member of the organization). Criteria: Active in EMSAC or EMS. This award recognizes those who, by exceptionally devoted service and dedication to EMSAC and EMS in general, have merited a permanent no-fee membership. The membership shall include a subscription to the Star, but shall not include voting rights unless the criteria for regular membership are met. Criteria: Active in EMSAC or EMS in Colorado. This award honors Peg Hamilton as a founding member, secretary, treasurer and vice-president of EMSAC; and her devotion and dedication to EMS in Colorado. The award recognizes a member of the Board of Directors who has shown the most outstanding performance and highest involvement in EMSAC and EMS over the past year. Criteria: Member of the EMSAC Board of Directors. Nominated by a member of the Board of Directors, selected by secret ballot of the Board of Directors. Presented by the president to a deserving individual or organization at the presidents discretion. Recognizes an EMS agency, medical facility, local or regional EMS system, either individually or in any combination, for their prehospital or out-of-hospital care and transport of pediatric patients. Selected by Children’s Hospital Colorado. Click here to view the 2018 EMS Awards winners.